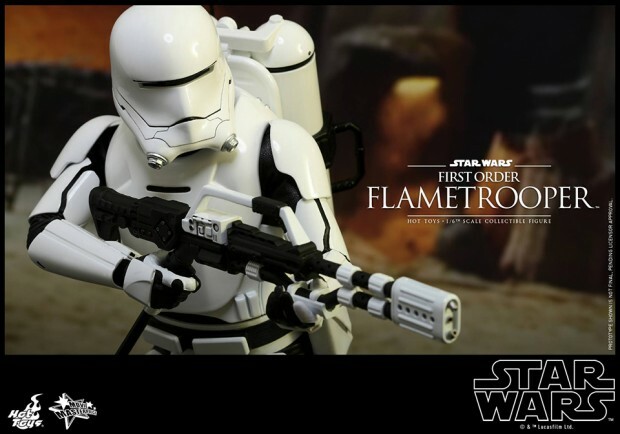 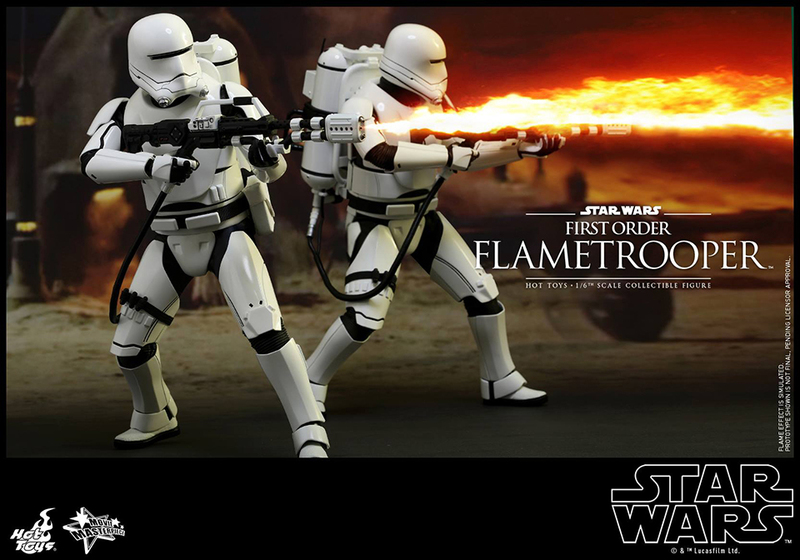 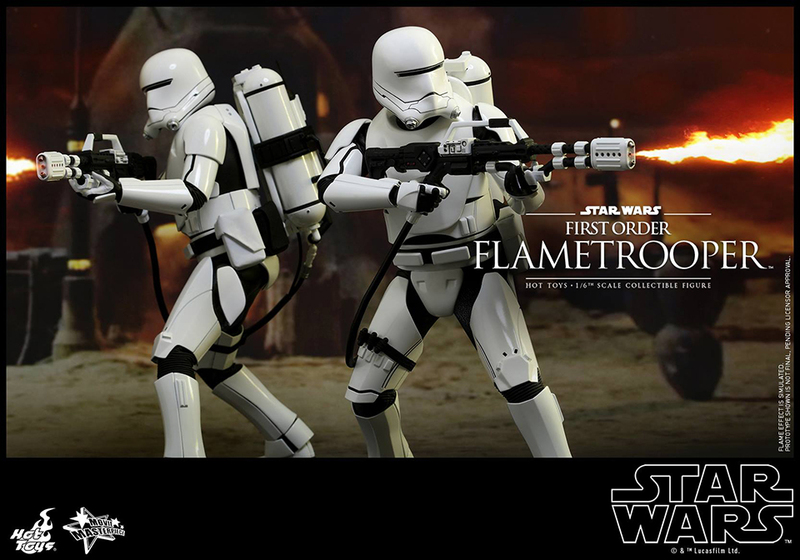 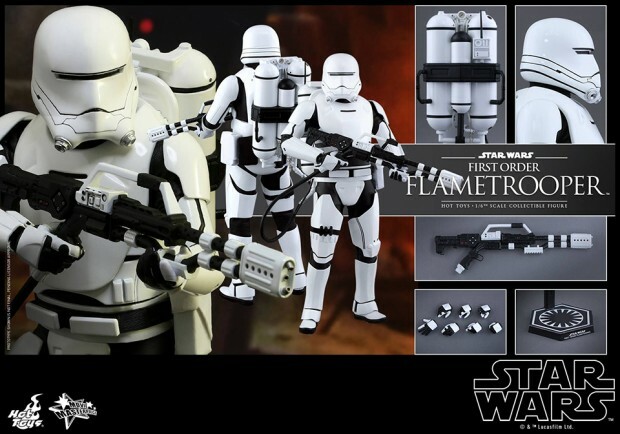 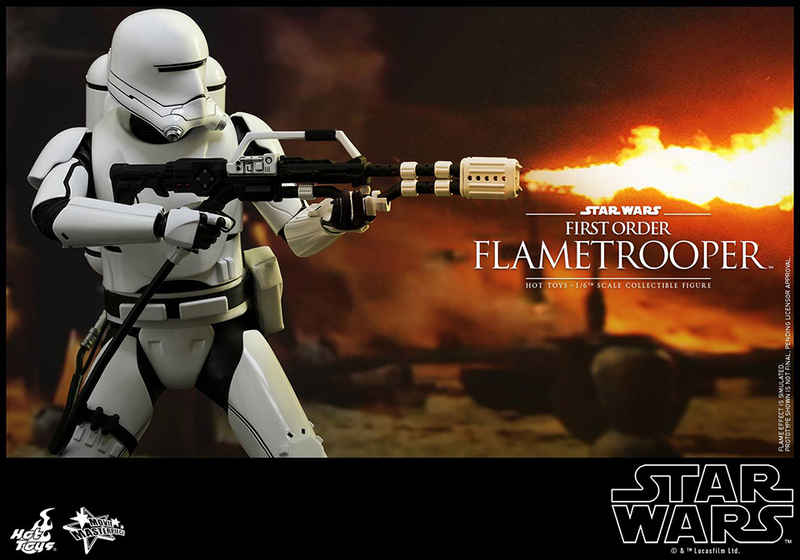 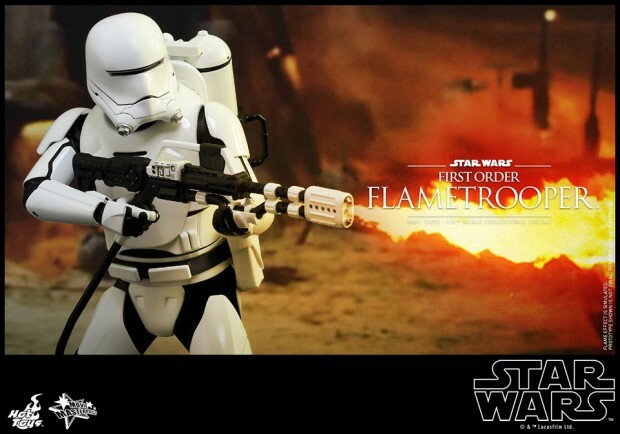 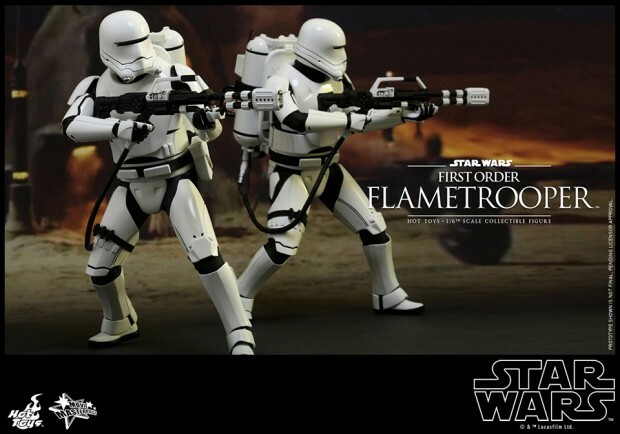 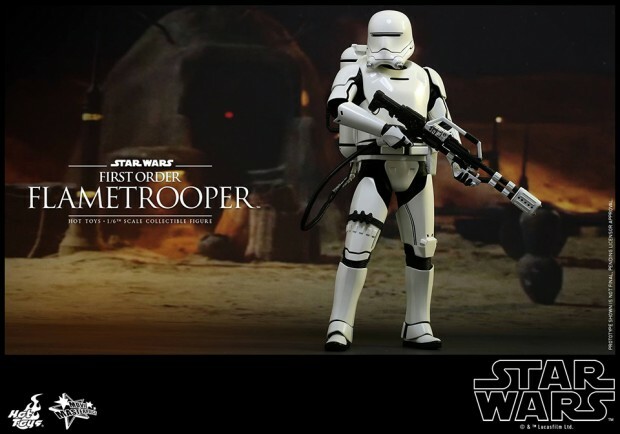 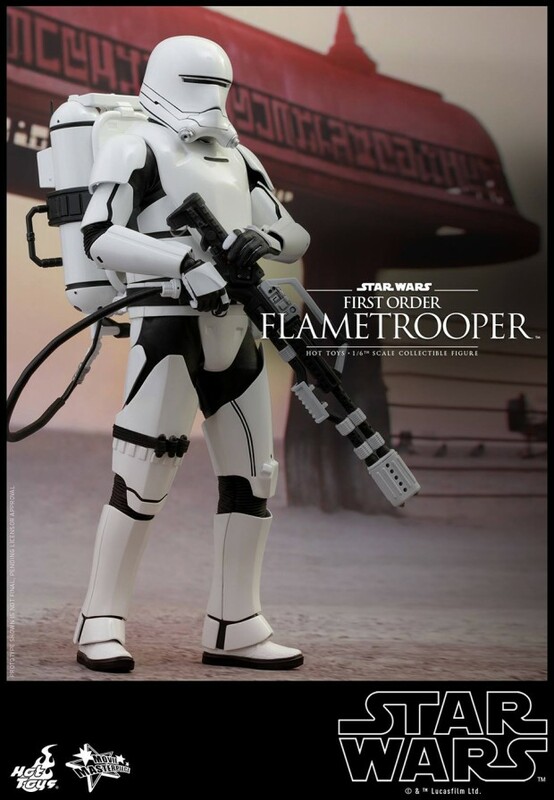 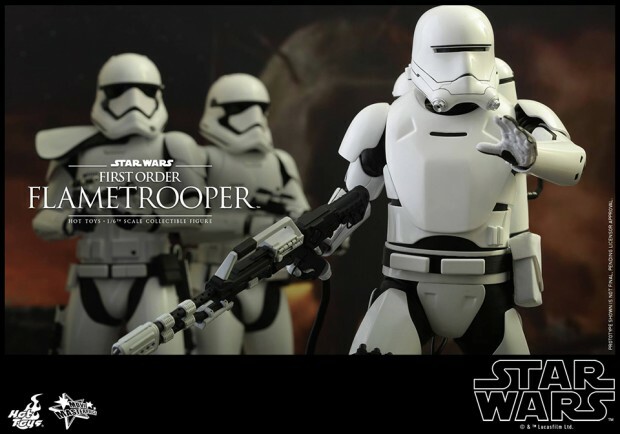 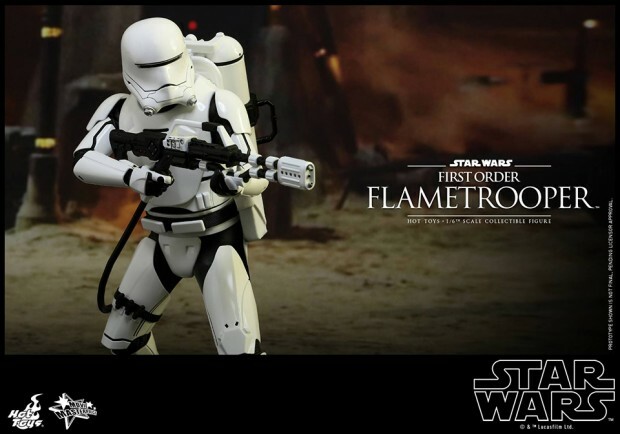 After deploying the First Order’s Stormtrooper, TIE Pilot and Snowtrooper, Hot Toys brings out the flametroopers, who seem awfully under powered in a world with blasters, telekenetic powers and lightsabers. 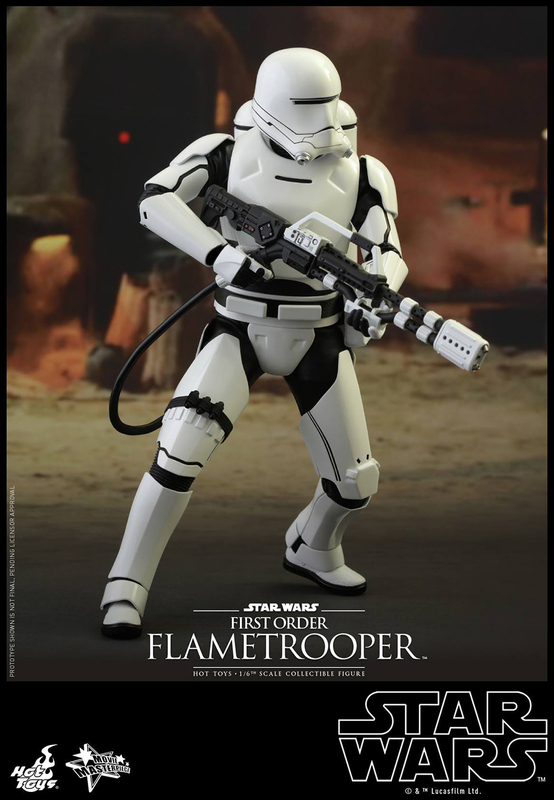 I’m really not a fan of theirs and the Snowtrooper’s slug-like helmets but I do like the rest of their armor, especially the shin and ankle guards. 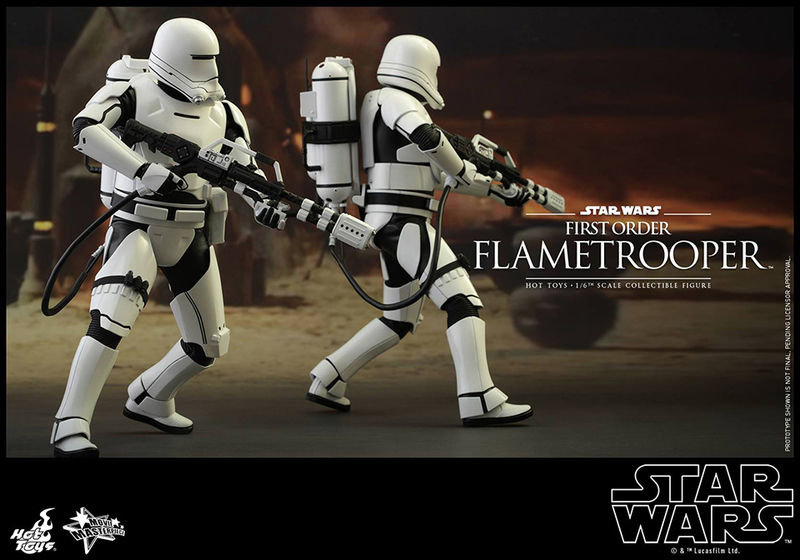 The sixth scale action figure comes with seven interchangeable hands, a flamethrower and a flamethrower backpack. Sadly, it doesn’t come with flame sculpts. 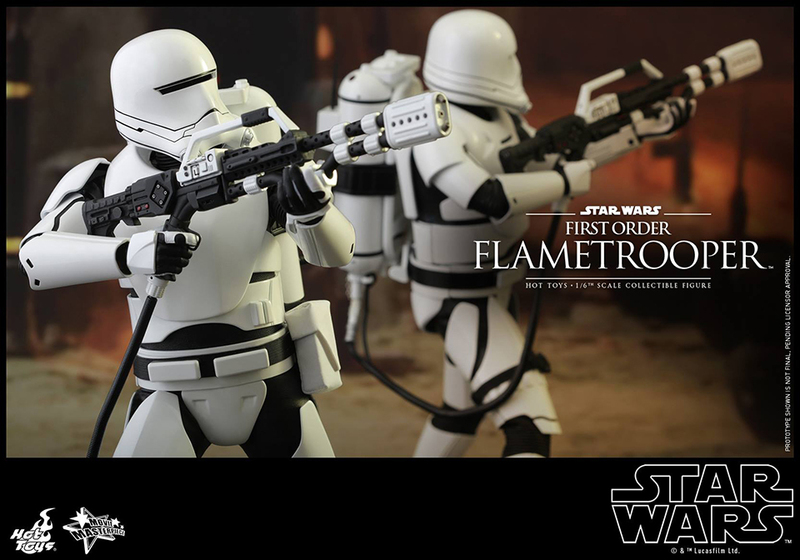 It should be up for pre-order soon for the usual wallet-busting Hot Toys price.